Sudbury Prosthetic & Orthotic Design is a healthcare practice focusing on treating disorders, disabilities, and injuries of patients. We strive for the satisfaction and confidence of patients and physicians, while providing high quality, family-oriented & timely service in the provision of prosthetic and orthotic treatment to allow the patient to live a more active and independent life. 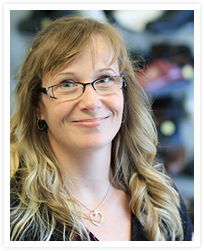 Leslie Mead, graduated from the GBC Clinical Methods in P&O Program in 2004 and began practicing at a London area private orthotics facility. 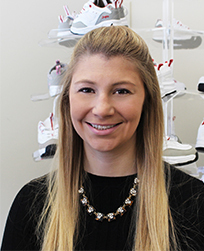 She began working here at Sudbury Prosthetic & Orthotic Design in November of 2009, and has been involved in various pediatric rehabilitation clinics throughout her career. Leslie’s experience includes pediatric orthotics, custom spinal bracing for scoliosis and trauma, plagiocephaly helmets, foot orthotics, and leg and arm braces. She recently enrolled in the OPC Prosthetics Residency program to help our practice improve our level of care and service to our patients. Daniel Mead graduated from the GBC Clinical Methods in P&O Program in 2005 began practicing at Hamilton Health Sciences, Chedoke Site in the P&O Department as a member of the amputee rehabilitation team. He began working here at Sudbury Prosthetic & Orthotic Design as a Certified Prosthetist in November of 2009, and has brought with him advanced prosthetic care to Northeastern Ontario. 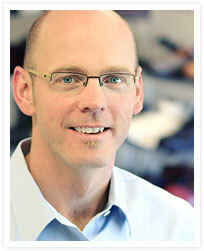 He became a Certified Orthotist in 2012 which has improved access to complete P&O care for many of his remote patients. His prosthetic experience includes pediatric prosthetics, microprocessor-controlled knees and ankles, elevated vacuum suspension, and upper extremity prosthetics. From the orthotic side, Dan’s experience includes plagiocephaly, pediatric orthotics, stance controlled KAFO’s, & knee bracing. 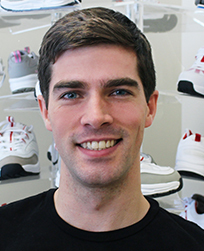 Dan is also very active in our professional association and currently holds the position of President for Orthotics Prosthetics Canada. Emily recently joined the team as an Orthotic Resident at Sudbury Prosthetic and Orthotics after graduating from the Clinical Methods in Prosthetics and Orthotics at George Brown College in 2017. Prior to attending George Brown College, she graduated from the University of Western Ontario with a Bachelor of Arts in Kinesiology and a Masters in Rehabilitation Sciences. Her Master’s degree focused on classification systems for children with Cerebral Palsy. Emily enjoys exploring the outdoors in her spare time as well as hosting dinner parties for her friends and family. She is passionate towards the O&P profession and is excited to join the team and provide the highest level of care to her patients. Marnie Savage began her career working as a receptionist in a private P&O practice in Sudbury in 2008. 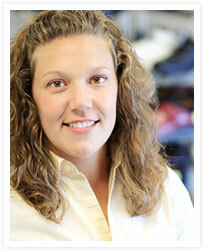 She has a strong knowledge of funding sources related to prosthetic and orthotic treatment. She began working here at Sudbury Prosthetic & Orthotic Design in December of 2011 and has been a great addition to the team. She will greet you in person when you arrive, by telephone when you call and is always willing to get you the information you require. Jordan Tingle completed a Bac helor of Kinesiology at the University of Toronto and went on to graduate from the GBC technical methods in P&O program in 2017. He began working here at Sudbury Prosthetic & Orthotic Design upon graduation in June of 2017 and has gained experience fabricating both upper limb and lower limb prosthetic devices as well as laminated orthotic devices. To learn more about orhotic and prosthetic services please view this video from the Canadian Association of Prosthetics & Orthotics.